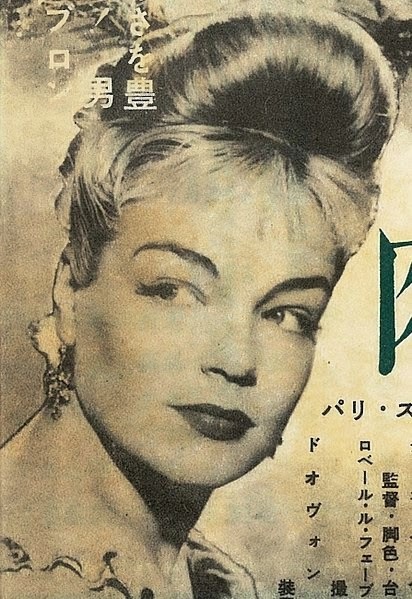 When Patricia DeMaio began to research Simone Signoret, she came against significant resistance from concerned family, colleagues and friends. The people in her life were protective of the star, who had always valued privacy. They said, "enough has been written about Simone…let her rest in peace…everything you need to know about her is in [her autobiography] Nostalgia [Isn't What it Used to Be]." Even the actresses' daughter Catherine Allégret refused an interview or to give permission to quote from correspondence the author had discovered. Others she interviewed declined to be named. 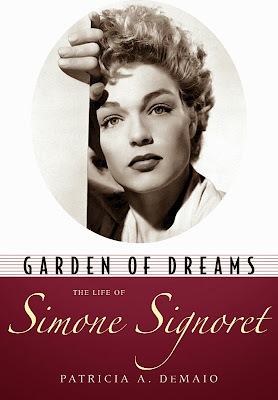 Given the aura of silence around Signoret, and the admirable loyalty of those who knew her, it is remarkable what DeMaio has accomplished in this first English language biography of the legendary actress. While many of Signoret's motives and emotions have remained hidden behind the carefully-constructed persona she offered to the public, this is a satisfying portrait of an intellectual, artistic woman who became undone when she could no longer protect herself from the outside world. Signoret spent her young adulthood in occupied France, working for a newspaper with Nazi sympathies. While she would later feel guilty about her inability to join the resistance in these years, at the time she was simply struggling to support her mother and brother, after her father had disappeared at the dawn of the war. She eventually left her employers when she decided in a rather matter-of-fact way to become an actress in the movies. Determined, intelligent, beautiful and a distinctive presence even in her teens, Signoret found film work easily. Throughout the war, she kept the family fed with plentiful work in small parts or as an extra. After armistice, she progressed to more significant roles, including a brief, but attention-grabbing appearance in Max Ophüls' La Ronde (1950) and a breakthrough performance as the lead in Casque d'Or (1952). The post-war years were also a time of dramatic romantic entanglements for Signoret. She became pregnant by her then-married lover the film director Yves Allégret at age 24, losing her son nine days after birth. The pair were married when she gave birth to daughter Catherine a year later, but it was never a passionate union. Signoret did not take to motherhood either, often leaving her daughter in the care of others while she pursued her career. When Signoret met singer and actor Yves Montand in 1949, she found the feelings of devotion which had eluded her in marriage and parenthood. To put it simply: she was hooked. For a time, the actress would essentially give up her career, much to Montand's consternation, so she could follow him on the road and help manage his singing career. She must have also realized that her presence would help to discourage Montand's frequent affairs. They were married in 1951 and their rocky union would last until her death in 1985. 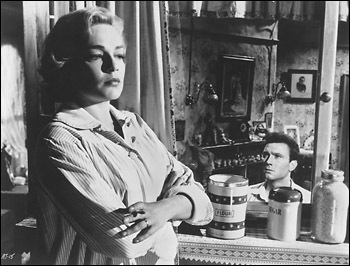 Signoret would eventually return to acting and go on to have a remarkable career, becoming the first French citizen to win an Academy Award, for her performance in Room at the Top (1959), and finding significant roles years after her peers were able to find work. She was also politically outspoken and devoted to causes in favor of workers, the common man, the kind of person she struggled alongside as a child. 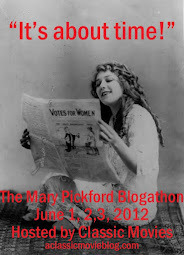 And yet, it seems the true focus of her life was Montand. She lived for him, and while he remained devoted to her throughout their decades-long marriage, he clearly did not share her obsession. The uneven affections between Montand and Signoret would have a deep impact on her life. While DeMaio devotes satisfactory attention to the actresses' work in classics like Les Diaboliques (1955) and late life successes such as La Veuve Couderc (1971) (in which she seduces Alain Delon), she is aware that acting was not the central focus of Signoret's life. At times it is almost as if the book is a dual biography, and there is no other way to properly address her story. She was deeply intertwined with her husband. Though Signoret never revealed much about how she felt about Montand's affairs, and his headline-grabbing relationship with Marilyn Monroe in particular, the effect of these betrayals was evident. After the Monroe affair, the actress began to age quickly. She put on weight and began to drink. Clearly her soul was not at peace, and a successful career was not enough to heal her wounds. That Signoret stayed in the public eye while aging less than gracefully is another issue, and DeMaio approaches it with delicacy. She shares a lunchtime conversation that takes place between gossip columnist Liz Smith and author Mario Puzo, where the pair observed Signoret from afar in a restaurant. While Puzo was critical of the actress for seeming to abandon her appearance, Smith reminded the writer that, with his own growing paunch, he was not as dishy as he'd been in his youth either. That Signoret did not give in to these pressures, and continued to succeed as an actress is downright revolutionary, especially considering today, where aging actresses are shamed into altering their appearances and then mocked for making the effort. In the end, Signoret led a rich, full life, but one in which she was a victim of her desires. DeMaio can be a bit repetitive in relating the dark and light of her turbulent career and affairs, but she succeeds in creating a revealing, fascinating portrait of the actress and woman.